We all know Willamette (rhymes with dammit), Napa gets plenty of nods, Paso is the pet of the press, and Santa Barbara and Sonoma shine, while Walla Walla is working wonders. 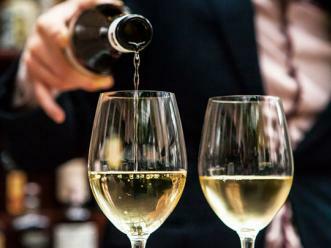 But lurking in the shadows of notable wine regions on West Coast places like Mendocino and Malibu, Umpqua and Puget Sound all suffer the same fate, namely, that bigger wine regions nearby get all the attention. IntoWine searched the West Coast for wine regions you may not know much about and why you should visit these still under-the-radar spots, before they become hot-spots. The Spanish name means “skulls” but this place is alive with wineries. Considered part of the overall Sierra Foothills (El Dorado, Amador and Calaveras counties) and part of the California Gold Rush region - wine production began as early as 1851 - there is incredible history here with tasting rooms in cute mining towns like Murphy’s and Angels Camp, all flanked by the majestic Sierra Nevada Mountains. This was once ocean-front property; a crumple zone with lots of tectonic activity resulting in diverse soils including slate and marble, granite, and volcanic soils. Therefore Calaveras has a wide variety of grapes growing here; from Cabernet to Tempranillo, to Pinot Noir and Viognier. Diversity reigns in Calaveras, but only 1% of California wine comes from here, however they are worth seeking out. Labels to Look For: Lavender Ridge, Twisted Oak, Hatcher, Newsome-Harlow. Carmel-by-the-Sea is best known for expensive homes, an idyllic beachfront community where there are no street addresses, though there is money…lots of money. But just 15 minutes east from the Pacific Ocean as you move into the Carmel Valley, the temperate climate turns much warmer and tucked into the hillsides near golf courses and second homes are dozens of vineyards. Receiving their AVA status in 2008, one of seven specific regions within Monterey County, grapes went into the ground as early as 1982, but few thought it would amount to much. Today you’ll see Merlot, Cabernet Sauvignon, Pinot Noir, Chardonnay and Cabernet Franc with 20 tasting rooms to show off this beautiful agricultural valley. Labels to Look For: Bernardus, Mystic Hills, Talbott, Boekenoogen, Cima Collina. On Napa and Sonoma’s northern borders lies Lake County, home to many AVAs including Clear Lake AVA, named for the largest natural lake in California. Vineyard elevations range from 1,300 to 1,500 feet and at the higher elevations of Lake County pure air allow for greater levels of UV light, as much as 10%, so they claim, more than neighboring sea level valleys. This UV intensity triggers thicker grape skins, greater tannins and intense wines with high phenolic content. Given this was ancient seabed the soils generally include alluvial, silt loam and underlying layers of sand and gravel. Cabernet Sauvignon is the most planted variety with 3,300 acres and it’s also home to Chardonnay, Muscat, Sauvignon Blanc and Zinfandel. Currently 36 wineries call it home. Labels to Look For: Steele, Sunce, Arnot-Roberts, Gregory Graham. The sheer stunning beauty of the Columbia River Gorge might cause you to forget that the Columbia River, which separates Oregon from Washington, is a spectacular region of natural beauty yet it is also a dividing line with wineries on both sides of the river sharing similar soil types, yet making very diverse wines. Established in 2004 and comprised of two Oregon counties and two Washington counties, the over 40 wineries of the Columbia Gorge AVA are aiming to usurp the nearby regions (specifically the Willamette Valley) banking on a steady flow of tourists to the area. Volcanic soils and weather variations create a sense of place, defined by the Columbia River and its cooling influences on the vines. Barbera, Chenin Blanc, Riesling, Syrah, and Sangiovese are among the top grapes. Labels To Look For: Memaloose, Marchesi, The Pines 1852, AniChe, Syncline. Mexico’s primary wine production is located in the Guadalupe Valley, a 30-minute drive east of Ensenada, and two hours by car from San Diego, on the Baja Peninsula. 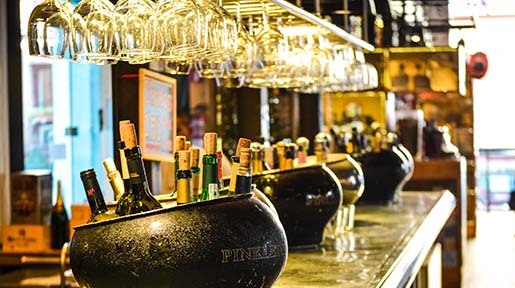 Baja accounts for over 90% of all wine made in Mexico. The Guadalupe Valley supports wine tourism, including lodgings and terrific restaurants, and grape growing started here in 1888. Now there are over 70 wineries. The Valley is cooled by the Pacific Ocean and over 30 varieties are made here. The biggest problem is finding Mexican wine in the US. “Americans have a very negative opinion of Mexican wine,” Don Miller, the US owner of Adobe Guadalupe told me before he passed. “But our renaissance is world-class. The Guadalupe Valley is like Napa to the Mexicans,” he said. More geared to the adventurous wine lover, these West Coast wines will surprise and delight you. Labels To Look For: Hacienda La Lomita, Adobe Guadalupe, Las Nubes, Villa Montefiori. Happy Canyon is not only one of Santa Barbara’s newest wine regions (it received AVA status in 2009 but was first planted in 1996), it’s also the hottest region in the broader valley, which means that Bordeaux varieties thrive here. There was a time when Cabernet Sauvignon was thought virtually impossible in Santa Barbara, but this remote area excels. The mineral deposits of the Los Padres Mountains add to the complexity of the wines grown here. Though there are no public tasting rooms in the canyon (so named allegedly for bootleg booze that made you “happy” during Prohibition), you can still find the wines throughout Santa Barbara, and the Happy Canyon designation means beautiful expressions of Cabernet Sauvignon, Merlot, Sauvignon Blanc and Syrah. Labels To Look For: Grassini, Vogelzang, Dierberg, Westerly. Established in 2009 and located 112 miles east-northeast of Seattle, Lake Chelan is encompassed within the larger Columbia Valley AVA, but Lake Chelan has a higher elevation and a more temperate climate. Lake Chelan includes the southern and eastern portions of land surrounding the lake and shares a northern border with the Columbia Valley AVA. Due to the ice age glaciers that formed the lake, the soil surrounding it has distinctive properties such as coarse, sandy sediment with notable amounts of quartz and mica, and this results in grapes with discernable textures, minerals, and nutrients. In 1949 the area was all of 154 vineyard acres. Now the area is home to 27 wineries and the most planted grapes are Pinot Noir, Riesling, Syrah, and Gewürztraminer. Production is still small and most of the tasting rooms are clustered at the south end of the lake, making them easily accessible. Labels To Look For: Siren Song, Lake Chelan Winery, Mellisoni. Home to the Wente clone of Chardonnay the first grapes were in the ground in the 1840s. Livermore Valley is largely gravel-based soils and the marine winds that are drawn into the valley every afternoon from San Francisco Bay, just 30 miles to the West, create coastal fog and marine breezes, which cool the valley's warm air resulting in warm days and cool nights ideal conditions for producing fully-ripened, balanced fruit. The Livermore Valley also has an east-west orientation, making it unique among northern California winegrowing regions. It is 15 miles long (east to west), and 10 miles wide (north to south), and surrounded by coastal range mountains and foothills. The 50 wineries located within this small valley turn out Chardonnay, Petite Sirah, Cabernet Sauvignon and Sauvignon Blanc, among others, all planted on just 4,000 acres. Labels To Look For: Vasco Urbano, Murrieta’s Well, Concannon, 3 Steves, Wente. Madera, the Spanish word for lumber, was also the county’s first industry. But then gold put Madera on the map. Mining started here in 1849 and continued well into the 1900’s. Today, the county’s fertile farmlands are its most precious resource producing almonds, figs, cotton, tomatoes, and yes, wine. Located near Fresno and south of Yosemite, they got their AVA status way back in 1985. There are a surprising 38,000 acres of vines here, set in a variety of granite and sandy soils. Many of those acres produce bulk wine, however there are some terrific spots that make exceptional juice. Known more for California style Port wines and dessert wines, there is also Merlot, Chardonnay, Sangiovese and Syrah. Labels To Look For: Quady, Ficklin, Birdstone, Fäsi Estate. Sure, you think of Malibu and you don’t think wine – you think cocktails, celebrities, house parties at the beach and maybe an arrest or two. But Malibu first planted grapes in 1849 - not saying they were phenomenal - but agriculture has long been viable here. There are three AVAs in Malibu, but the county is struggling with what to do with acreage. In spite of their political issues, the coastal area can and does make some terrific juice from Chardonnay and Pinot Noir, to the typically less successful Bordeaux varieties. This is cool climate territory and many of the west-facing vineyards are slopped towards the ocean while others are tucked into the Santa Monica Mountains. More than enough restaurants line the Pacific Coast Highway just down the road. Labels To Look For: Dolin Estate, Rosenthal, Semler. Wine people seem to think the California border stops at Sonoma and Napa. Well…it doesn’t. Known for having more organic and biodynamic wineries than anyplace else, not to mention a thriving pot trade, “Mendo” is far less traveled but worth your time. This is not only a beautiful region, (there are Redwood groves that are jaw dropping, and staggering rigged ocean front areas) but the Anderson Valley produces stellar Pinot Noir and Chardonnay centered around the village of Booneville which even has its own language, “Boontling.” The first vines were planted in the 1850s and now there are over 100 wineries throughout the county with seven AVAs, and closing in on 600 vineyards. And there’s beer, too. Labels To Look For: Goldeneye Winery, Greenwood Ridge Winery, Phillips Hill, Rivino, Foresight. It’s not Nevada, it’s Nevada County, and it’s in California, not, you know, Nevada. This AVA located north of Highway 50 is best known for Grass Valley, a bucolic town. There are 19 wineries located in this northern Sierra Foothill region. 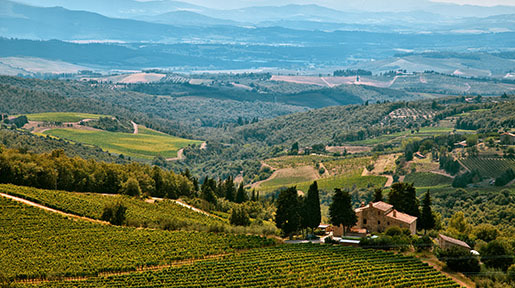 This is a high altitude wine region with most wineries and vineyards well above 2,000 feet even as high as 6,000 feet. Characteristic cold winters allow vines to go dormant. In the summer a combination of cool nights and warm days, up to a 35-degree difference in temperature, serves to balance out grape acids and sugars producing desirable winemaking fruit. Northern Sierra Wine Country has over 45 planted varietals. You’ll find the familiar; Chardonnay, Merlot, Zinfandel, Cabernet Sauvignon, as well as Cabernet Franc, Barbera, Sangiovese, and Tempranillo. Labels To Look For: Sierra Star, Nevada City Winery, Lucchesi Winery. People tend to forget that Canada produces some stellar wines, in part because they are rarely seen outside of Canada. What to do? You need to head to the beautiful, rugged Okanagan Valley, located north of Walla Walla, Washington. Across the US border, this elongated wine region has been producing wines since 1931 and currently has 176 wineries operating along its 150-mile long valley, offering a massive diversity of climate and soils and therefore proffering wide ranging expressions of wine. The top grapes are what you might expect - Merlot, Cabernet, Sauvignon, Pinot Noir, Chardonnay, but also look for Cabernet Franc, Gewürztraminer, Viognier, even Zweigelt. Less under the radar than any region on this list, yet these wines are harder to get your hands on. Labels To Look For: Mission Hill, Tantalus, Quail’s Gate, Rollingdale, Cedar Creek. Most vineyards in Washington State are located on the drier, eastern side of the Cascade Mountains. But the Puget Sound AVA, located west of the Cascade’s and bordered by Canada to the north and Olympia to the south also encompasses many islands, including Bainbridge. The climate here is defined by proximity to water, namely the Puget Sound and the Pacific Ocean, and is classified as a Maritime climate with sunny, dry and mild summers and wet, mild winters. The soils of the Puget Sound are made up by the leftovers of the last ice age. The Vashon Glacier deposited hundreds of feet of sand, silt and rocks over the Puget Sound basin, therefore the grapes that best express this site are not your typical ones. Madeleine Angevine, Muller-Thurgau, and Siegerrebe, are a few of the odd-ball wines, but you’ll also find some Pinot Noir, Chardonnay and Pinot Gris. 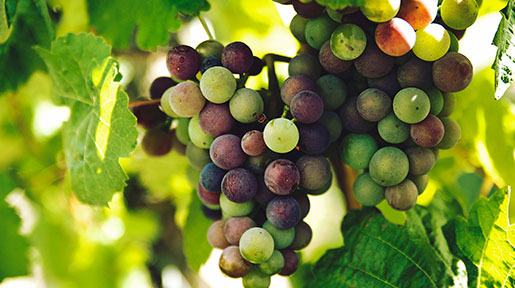 But it is these quirky grapes that make the region unique, that and the fact that climate scientists see a huge potential for the AVA as global climates warm. Currently there are 20 wineries here. Labels To Look For: Hollywood Hills, Bainbridge Vineyards, Spoiled Dog, Vashon Winery. Located in San Diego County but tucked into a remote mountain valley, 30 wineries thrive in this outpost. What grows out here? Cabernet Franc, Merlot, Malbec, Grenache Noir. The area is recognized for its distinctive microclimate, elevation, and soil attributes. Approximately 89,000 acres in area and centered near the town of Ramona, it is 14.5 miles long and 9.5 miles wide. Geographically, the Ramona Valley is broad and flat ringed by hills and mountains that isolate it from the surrounding areas. The valley has an average vineyard elevation of 1,400 feet and an annual average rainfall of 16.5 inches. In essence, it’s an outlier. Among it’s outlier grapes? Alicante Bouschet, Petit Verdot, Viognier, and Carménère. Out of the way but worth the drive. Labels To Look For: Turtle Rock Ridge Winery, Milagro Farms, Kohill, Ramona Ranch. The Rogue Valley is the southernmost winegrowing region in Oregon. It's made up of three adjacent river valleys (Bear Creek, Applegate and Illinois Valleys) that extend from the foothills of the Siskiyou Mountains along the California border north to the Rogue River. Rogue Valley's wine history dates back to the 1840s when European immigrants began planting grapes. The Rogue’s three valleys with progressively warmer microclimates enable the region to grow both cool and warm-climate grape varieties along its 70-mile length so you’ll find cool Pinot Noir to Merlot, Cabernet Sauvignon and Sauvignon Blanc throughout its varied mix of metamorphic, sedimentary and volcanic soils ranging from sandy loam to hard clay. 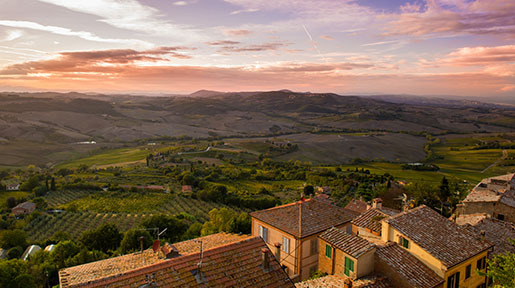 Vineyards here are typically at elevations of 1,200 to 2,000 feet and are planted on hillsides rather than valley floors. Labels To Look For: Folin, Dancin, Kriselle. Seems everyone knows Paso Robles these days, the big brother to San Luis Obispo wine, but 30 minutes south of Paso centered around the quintessentially charming college town of San Luis Obispo, are vineyards dating back to the 1880s, even one that is own rooted and survived Prohibition. 25 varietals are grown along the ocean side of the Santa Lucia Mountain range, and the average distance from vineyards to ocean is just over five miles. This allows for a cooler growing season and ideal for Pinot Noir and Chardonnay, though some of the hot inland small canyons are turning out Zinfandel and Bordeaux wines as well. Some tasting rooms are beachside, some in downtown San Luis, others scattered around ancient dormant volcanoes in the bucolic hillsides. Labels To Look For: Tolosa, Saucelito Canyon, Chamisal, Talley. April 9, 2007 was a big day in Snake River; they received their official AVA status. The 8,263-square mile Snake River Valley AVA boundaries have been defined to encompass the ancient area of Lake Idaho, a 4-million year-old, now-dry landform. Sure, there are a variety of soil types, but it’s predominantly sand, mud silts, loess, and volcanic detritus on top of sedimentary bedrock (yawn). Snake River Valley has a relatively short growing season for wine grapes and currently the appellation contains a little over 1,100 acres of commercial wine grapes, with 15 wineries. The majority of planted varieties are cool-climate, pretty hardy grapes, mainly white wine grapes, including Riesling, Gewürztraminer and Chardonnay. But the appellation offers important pluses like a phylloxera-free environment so that own-rooted vines can be used. Labels To Look For: Sawtooth Winery, Ste. Chapellet, Bitner Vineyards. Snipes Mountain AVA is located within the larger Yakima Valley AVA and is the second smallest appellation in Washington at just 4,145 acres. The area gets its name from Ben Snipes, a cattle rancher from the 1850s. There are more than 700 acres planted to over 30 varieties, with Chardonnay and Cabernet Sauvignon the most planted. The area has an arid, continental climate, getting an average of seven inches of precipitation annually. The predominant soil type is loess, wind blown deposits of sand, clay, and silt all on top of what’s known as Missoula Flood sediment – ancient vibrant soil deposited on Snipes Mountain. No surprise then that odd wines like Muscat of Alexandria vines from 1917 still produce grapes, and Snipes is home to some of the state’s oldest Cabernet Sauvignon vines dating to 1963. Labels To Look For: Upland Estates; Harrison Hill, Steppe Cellars. Umpqua means "thundering water" or "across the waters" or maybe "satisfied" - no one really knows. Yet this idyllic valley in Southern Oregon celebrates a pioneering spirit. Founded in 1984, winegrowing history dates back a century earlier when German immigrants planted the first wine grapes. Today, there are two dozen wineries, almost all are which are family owned and operated. Over 40 different grape varieties are here but the best are Syrah, Tempranillo, and Viognier. Over 150 soil types are derived from a mix of metamorphic, sedimentary and volcanic rock. The valley floor soils have mostly deep alluvial or heavy clay materials, while the hillsides and bench locations have mixed alluvial, silt or clay structures – all typically excellent for winegrowing. The first commercial Grüner Veltliner in the U.S. was produced in the Umpqua Valley. Labels To Look For: Abecela, Spangler Vineyards, Reustle, Prayer Rock Vineyards.